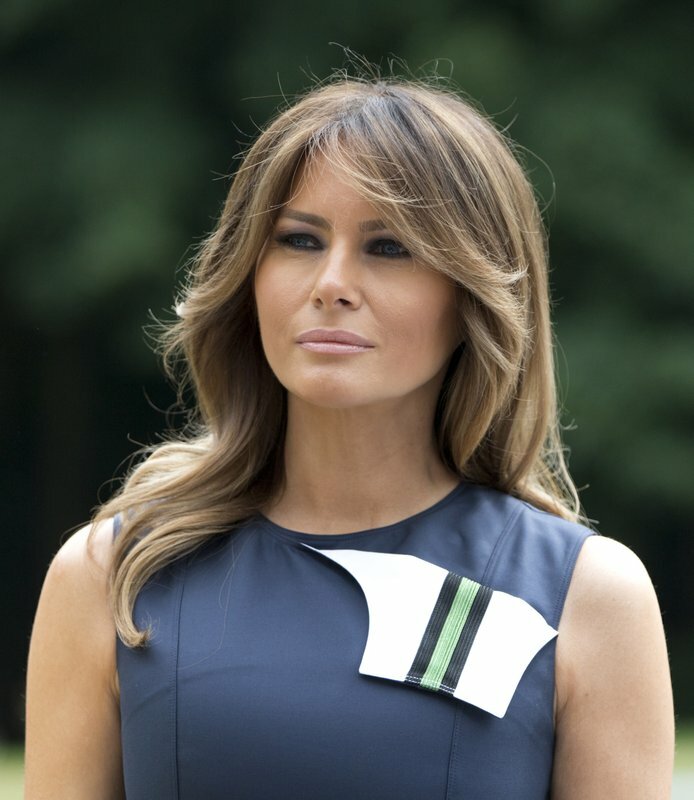 U.S. first lady Melania Trump returned to the international stage Wednesday as she mingled with the spouses of America’s closest allies over classical music, fashion and chocolate. 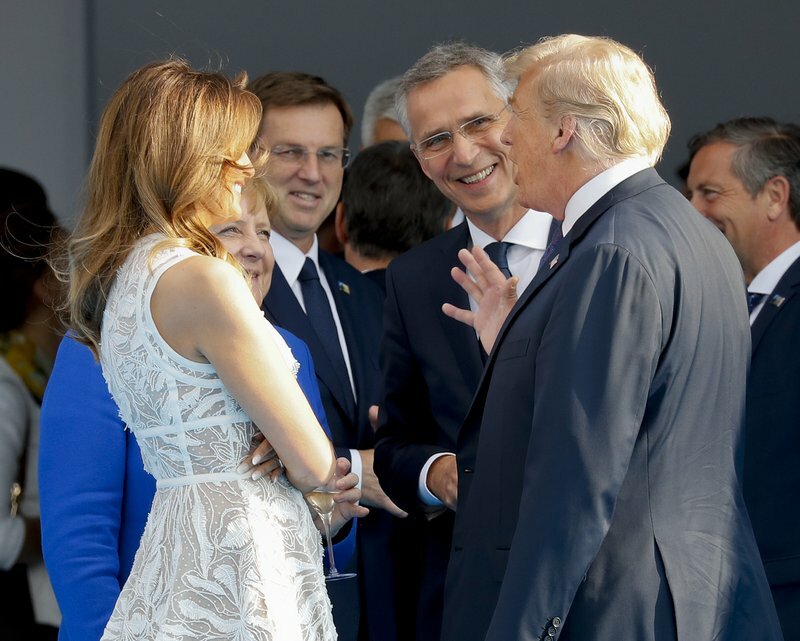 [post_ads]As President Donald Trump harangued Germany and other allies at a NATO summit in Brussels, his wife chatted amiably with some of their spouses at a music conservatory in a wooded park in Waterloo, near the Belgian capital. Neither of the Trumps took a drink as they chatted with other heads of state at a cocktail reception, only hours after the U.S. president accused Germany of being “captive to Russia” for buying natural gas from that country and chided other allies for their levels of defense spending. The president does not drink alcohol. The trip marked the former model’s return to the international stage after she dropped out of public sight in May for nearly a month, including five days in the hospital following surgery for a benign kidney condition. Her husband later told reporters that she had had a “big operation” and was under doctors’ orders not to fly for a month. 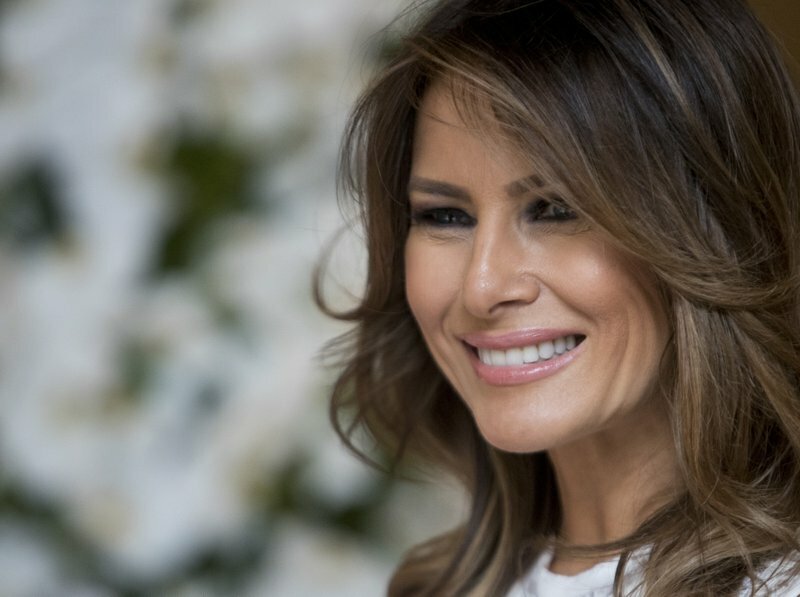 Her office clarified that only international travel was forbidden for that period of time, and the first lady did not accompany the president to Canada for an earlier world leaders’ summit or to Singapore for his historic one-on-one meeting with North Korean leader Kim Jong Un, both in the first half of June. They were then escorted into a music auditorium with tall glass windows offering views into the woods behind the school for performances of Tchaikovsky’s Valse Scherzo and music by Hubay and Piazzolla. [post_ads]During an intermission they posed for a group photo, viewed a display of hats by Belgian designer Fabienne Delvigne and were offered delicacies created by Herman Van Dender, a pastry maker and chocolatier who is the official supplier to the Belgian royal house. 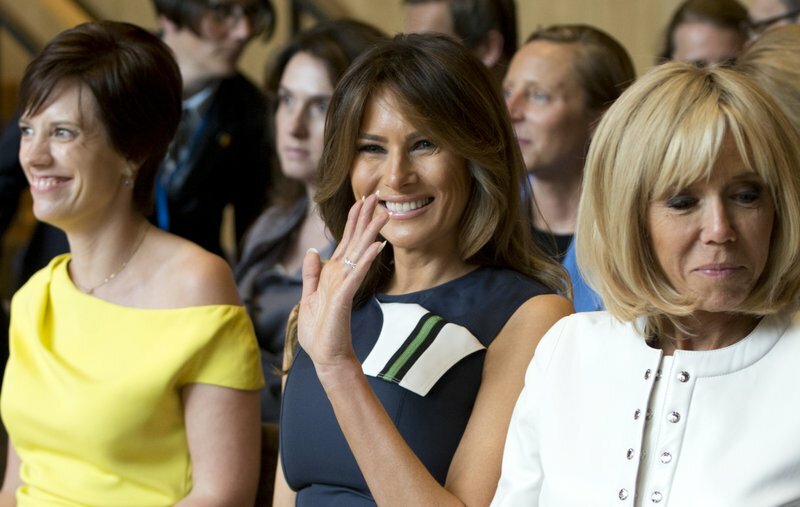 Mrs. Trump sat between French first lady Brigitte Macron, who was dressed in white, and Derbaudrenghien, in vibrant yellow, during the concert. Other participating first ladies included Emine Erdogan of Turkey and Mojca Stropnik of Slovenia, Mrs. Trump’s native country. Gauthier Destenay, the husband of Luxembourg’s Prime Minister Xavier Bettel, was the only man in the group. This story has been corrected to show the last name of Luxembourg’s prime minister is Bettel, not Better.